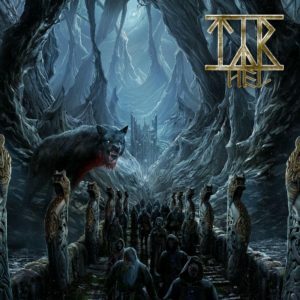 On March 8th, the Faroe Islands’ Tyr will release their eighth full-length, Hel, via Metal Blade Records. Hel is a collection of ruthlessly melodic and irresistibly compelling progressive folk metal that will immediately resonate with any who have followed the band at any point over the two decades of their storied career. For a preview of the album, a video for the new single, “Sunset Shore” (directed by mihasznafilm.com), can be viewed here. “Terji wrote ‘Sunset Shore’, for our upcoming album, Hel – to be relased on March 8th, and he plays the solo on the album version, but not in this video. We decided it was the perfect opportunity to introduce you all to the amazing talent of Attila Vörös, who recorded his own version of the solo a few days before the video shooting. The lyrics, written by me, are about how the mind can sometimes be a windswept and weatherworn landscape, and how the only thing to do, in spite of hopelessness and despair, is to aim for a better place and to work towards better times.